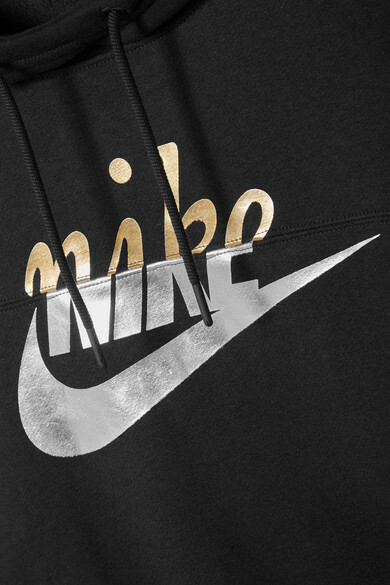 Nike's 'Rally' hoodie is printed with two versions of the label's logo - the gold script lettering nods to archival '70s styles, while the bold silver one is what you see on all of brand's designs today. 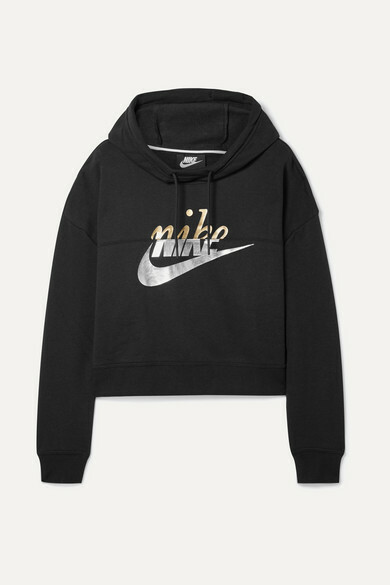 Made from a cotton-blend, it's backed in soft fleece and has dropped shoulders that accentuate the relaxed fit. 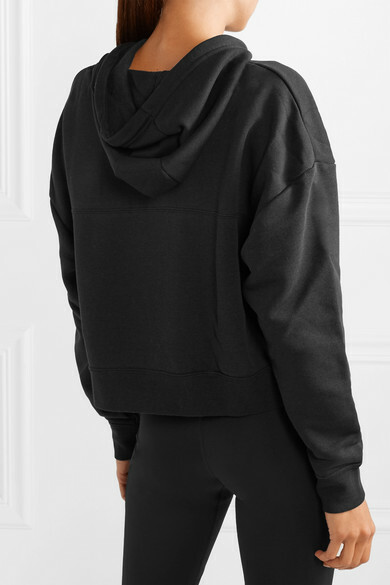 Complement the cropped hem with high-rise leggings or jeans. 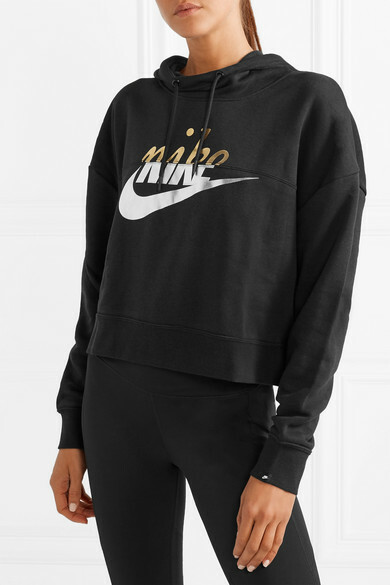 Shown here with: Nike Leggings, MZ Wallace Tote, Nike Sneakers.